You are here: Home / OCCASIONS / Patriotic / Star Spangled Giveaway! Are you ready for 4th of July? If not, no problem because we have you covered! 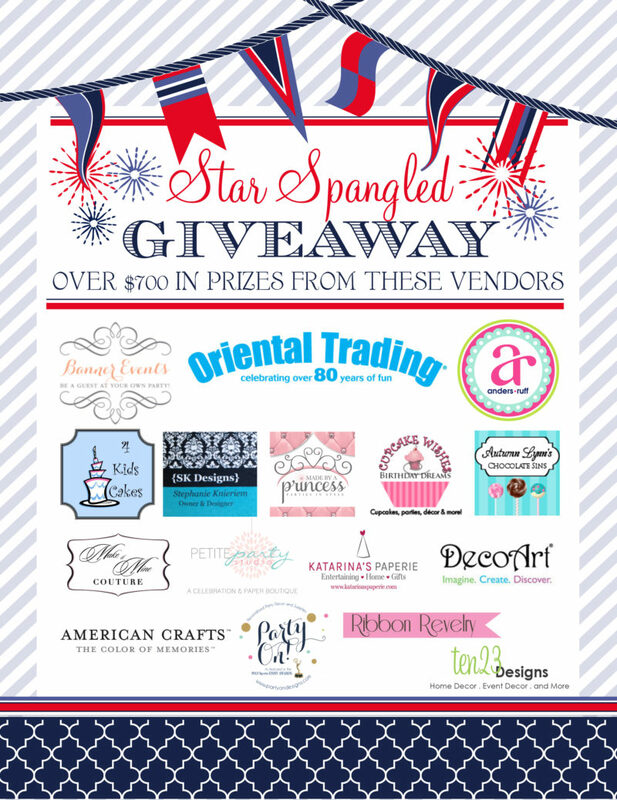 I am so thrilled to be a part of this Star Spangled Giveaway with some fantastic companies like Oriental Trading Company, Anders Ruff Custom Designs, & Banner Events along with several other amazing companies and a fun nautical themed 4th of July shoot this year! In honor of our collaboration, we thought we’d help you plan your own sparkling event by offering you the chance to win over $700 in prizes perfect for your next celebration! Below are the contest sponsors & prizes! Prize: 2- $25 OTC gift cards– $50 total value. As the nation’s largest direct merchant of value-priced party supplies, arts & crafts, toys & novelties, and a leading provider of school supplies, home decor and giftware, Oriental Trading Company is a fantastic source for all things party & crafts! If you love to have fun AND save money, be sure to check out the tens of thousands of products they offer for every season and every celebration. Finding creative ideas for creating personalized party favors or coming up with a unique event is so easy when you shop their huge assortment of exclusive birthday party themes for boys or girls. 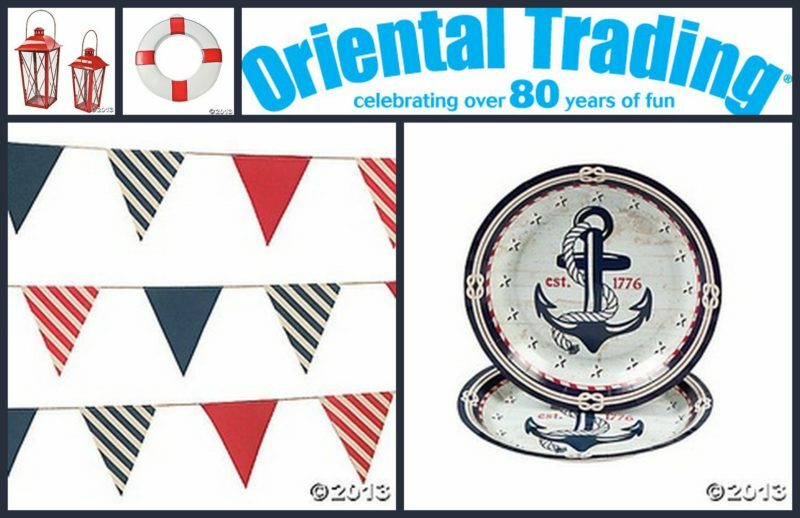 Oriental Trading’s website and catalog are full of fun, new and exciting ideas and products! Do you know what else I love? Every purchase is backed by a 110% “Lowest Price Guarantee”, which means they are committed to offer you the best value for your dollar! Two winners will receive: a $25 gift card to use towards products from Oriental Trading Company. Prize: 5- 4th of July Printable Packages. Total value: $62.50. Anders Ruff creates unique and stylish customized printable party invitations and decor for events, holidays and special celebrations. Their clients include A-list celebrities, major corporations & top-selling magazines. Five winners will receive: Choice of complete 4th of July printable package. Winners can choose from: Nautical 4th of July Collection, 4th of July Pinwheels Collection or Happy 4th of July Collection. Prize: Social Artworking Masterpiece Painting Party for 4- $150 value. American Crafts creates innovative, well-designed products for scrapbookers & paper crafters. American Crafts is known for fresh, clean product design and friendly, personalized customer service. Products feature bright, vibrant colors and a contemporary feel, inspiring crafters to record their memories in a fun, sophisticated, and stylish way. One winner will receive: a $50 prize pack of patriotic American Crafts supplies. Make It Mine Couture is an online children’s boutique with hand~made children’s clothing, accessories and embroidery designs. All items are custom made. One winner will receive: a $25 shop credit. Shipping not included. 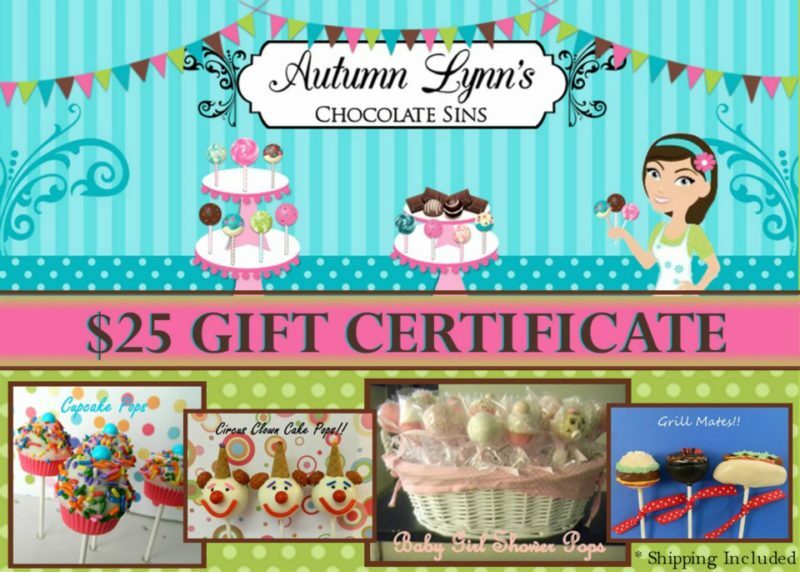 Autumn Lynn’s Chocolate Sins specializes in custome colored & flavored chocolates to match any theme for birthdays, weddings & more! One winner will receive: a $25 gift certificate for the shop. Katarina’s Paperie is an online boutique that provides handcrafted party designs, pretty accessories and creative packaging to make your every day entertaining and living beautiful & celebrations extra special. One winner will receive: one set of invitations and matching notecards from the shop. Party On! Designs specializes in taking your party theme to a BOUTIQUE style party … That’s right, the Party is ON!! 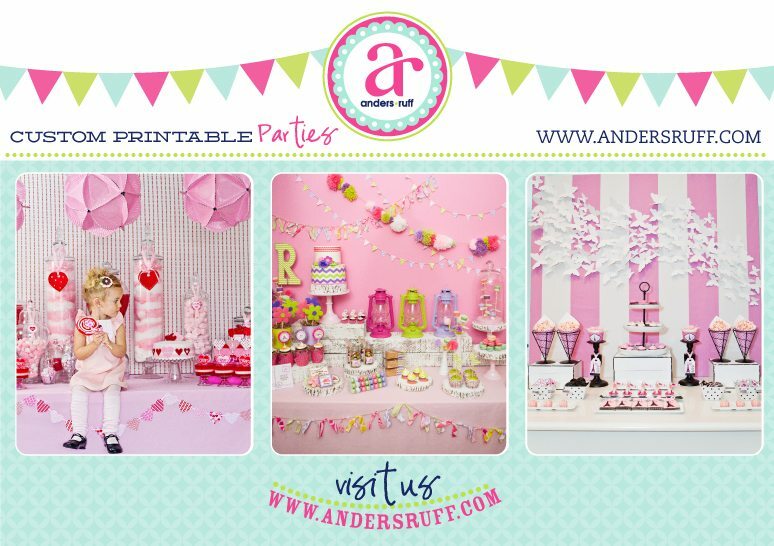 Birthday party ideas, candy buffets, party styling, event planning, dessert buffets for weddings, corporate party events, baby and wedding shower planning & hosting. We design all items from cupcake toppers, party banners, thank you tags, favor gifts, party signs and much, much more. One winner will receive: (3) red/white/blue star balloons, (2) iron on – personalized star with initial, set of 8 party favor tubes with flags for sparkler favors, set of 20 wooden swizzle sticks, perfect for cupcake toppers, drink markers, cake pops & more. Made by a Princess Parties in Style specializes in party products for all occasions including baby and bridal showers, weddings, birthday parties, and more. They offer a huge selection of shower games with many designs and colors to choose from to match your theme. One winner will receive: 1 set of 18 Limited Edition Patriotic Sparkle Sticks™. Ten23 Designs specializes in custom & personalized decals, custom rubber stamps, wooden monograms and more. They also offer a line of personalized gifts & goodies such as engraved jewelry, embellishments. One winner will receive: a sheet of nautical vinyl decals to be used to embellish cups, vases, bottles, home decor + many other possibilities. 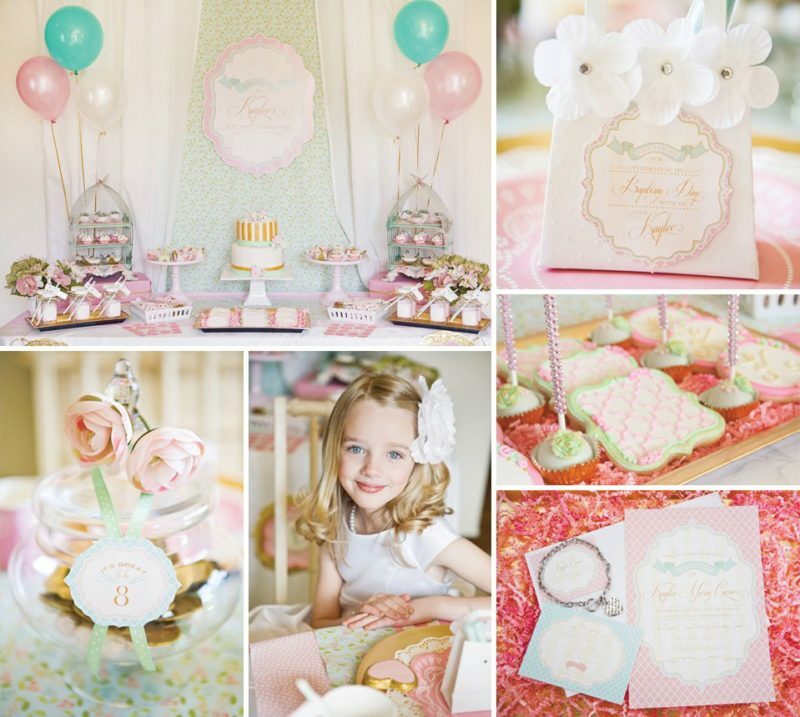 Rebecca & Shannon are the designers and stylists behind Petite Party Studio. 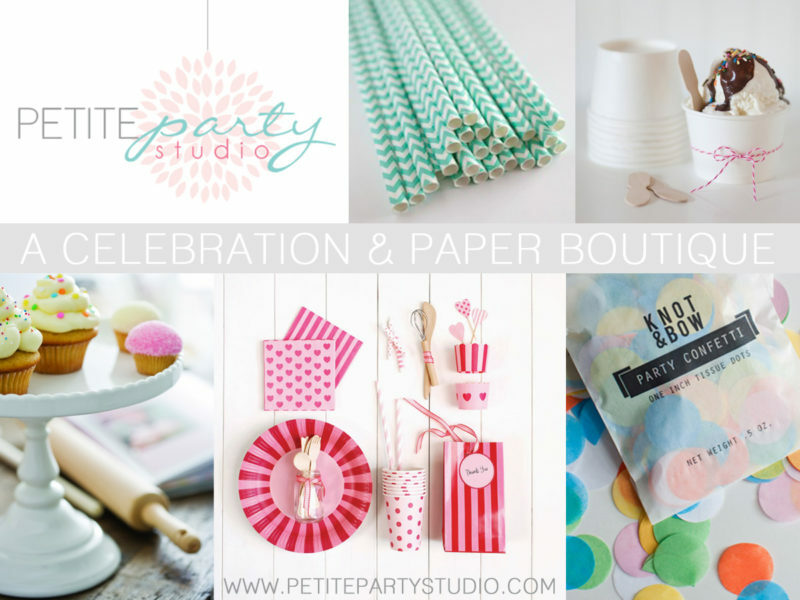 At Petite Party Studio you can find all of the latest trends in celebration supplies & decor along with finding DIY and inspiration ideas on their blog. See it all here at www.petitepartystudio.com. Two winners will each receive: a $25 credit to use towards products in their shop.